Today at the 15thAnniversary of the Disappearance of Dr Somchai Neelapaijit, I stand in solidarity and in unity with Khun Angkhana Neelapijit and her family. I stand in solidarity with you, Khun Angkhana, for your relentless and untiring struggle with the Thai court systems to get truth and justice for Somchai. I also stand in unity with your pain; a pain that no wife, or daughter or son, should ever have to bear to have their loved one torn away from them in such an ignoble manner. I also stand in unity with your anger against the impunity of the system of injustice that despite the evidence that was repeatedly presented, your case was dismissed based on legal loopholes designed to protect the guilty and deny justice to the victim. As the wife of another victim of Enforced Disappearance, Sombath Somphone, of Laos, I understand what you and your family have gone through these past 15 years, for I too have to bear the same pain and indignity as you. However, Khun Angkhana, despite all the pain and suffering you have borne over the last 15 years, you have shown the Thai people, that you will never give up. You have over the last 15 years become a symbol of the struggle against the injustice of Enforced Disappearance, and you have become the voice for other victims of Enforced Disappearances. Not only have you extended your hand of support to Thai victims, but you have also extended your hand to me. When Sombath Somphone disappeared on 15 December 2012, nearly 7 years ago, you reached out to me when I was in the depths of my despair and helplessness; not knowing what to do, where to turn, or even to understand what was happening, and why. You extended your hand to me and you gave me comfort – just by sitting with me and holding my hands. I think nobody can really understand what that means unless you are also a victim of such a heinous crime. When I look around me and see the other family members of Enforced Disappearance, I am once more enraged by the lack of justice for the victims and families of Enforced Disappearance. I am angry that state impunity against such crimes can continue unabated in our countries in such a callous manner. We ordinary citizens expect our governments and institutions to protect us, not act against us. And yet we are made to feel that we are the “criminals”, or our disappeared loved ones are on the wrong side of the law. Let’s see what our disappeared loved ones have done, and what laws have they broken? Who is Somchai Neelapaijit? Who is Sombath Somphone? Who is Billy and the others here today? Somchai Neelapaijit is a well-known muslim lawyer and human rights defender; he was defending the legal rights of the muslims in Southern Thailand, and he was actively advocating the Thai state agencies to end torture when he was disappeared. Sombath Somphone is a respected community development worker and a vocal advocate for environmental protection, and land rights for the poor in Laos. And Porlajee “Billy” Rakchongcharoen, is a prominent Karen rights activist, fighting for the rights of the Karen minority to have access and protection of their ancestral forestlands and resources. So are people like Somchi, Sombath, and Billy criminals? Or are they just people with a social conscience standing up for and defending the rights of those who have no voice in their own communities? That is the crime of injustice of Enforced Disappearance, and that is why we the family members of the Disappeared must continue to speak up, to get truth and justice for our loved ones as well as for all other victims of Enforced Disppearances in our own countries and beyond. 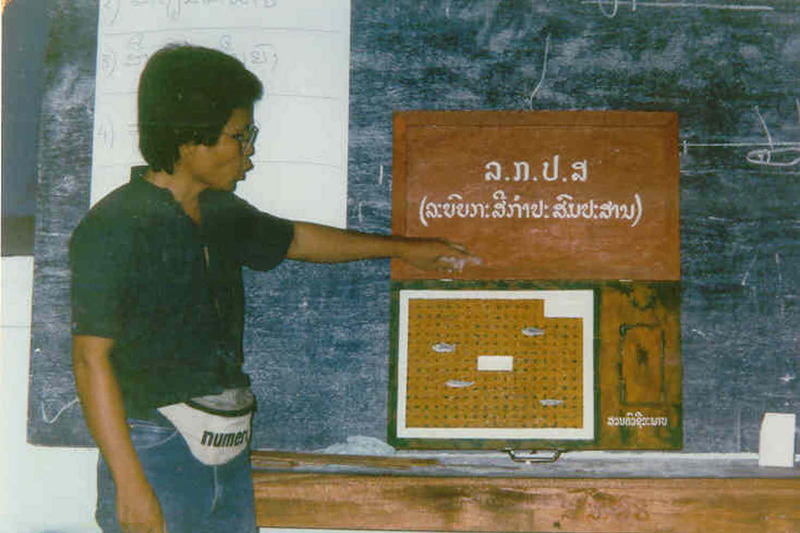 Today we are here to remind everyone it has been 15 years since Somchai Neelapaijit has been disappeared, and it has been 15 years that Khun Ankhana Neelapaijit has been fighting for truth and justice for him. It is time to give truth and justice to Somchai Neelapaijit; and it is time to give closure to Khun Angkhana and her family.